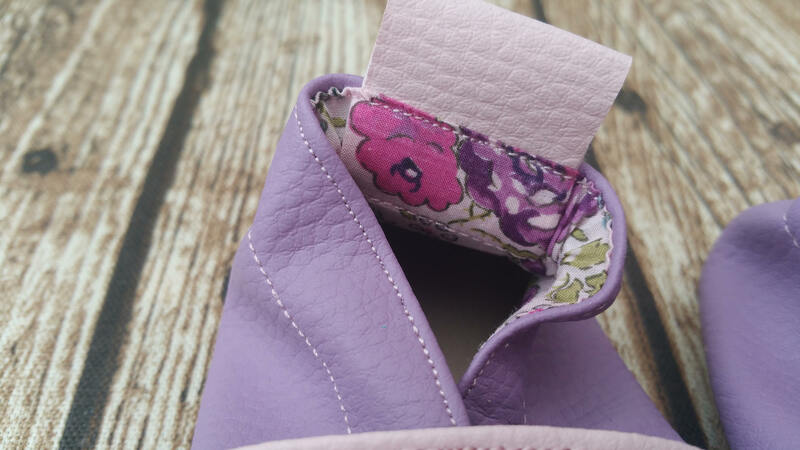 The lining is made of matching liberty. 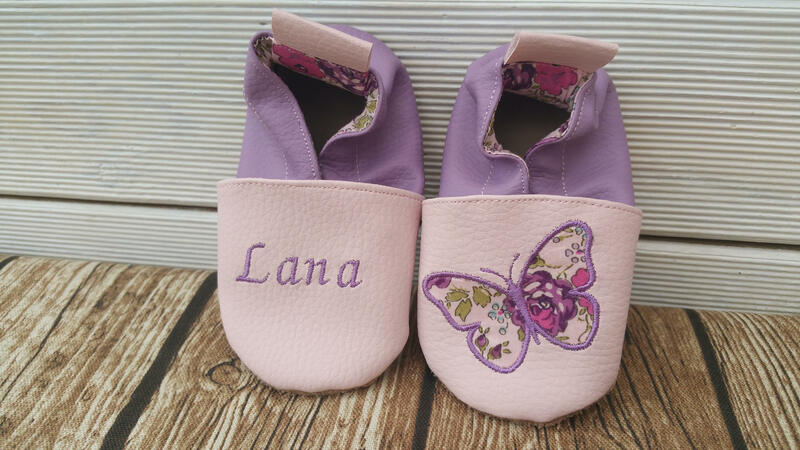 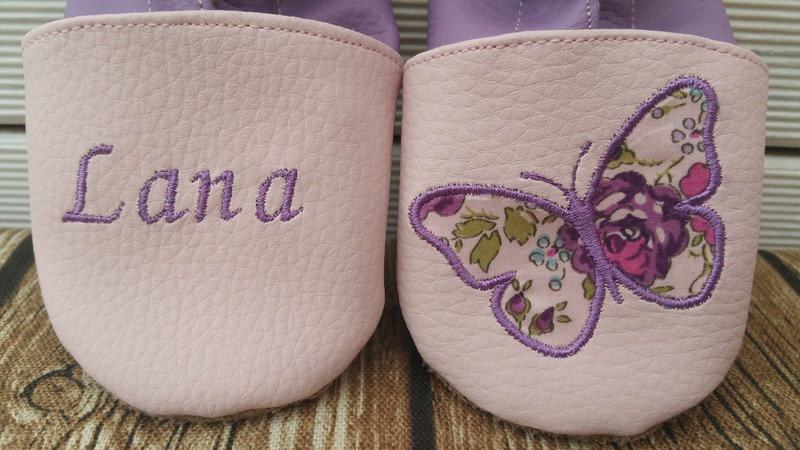 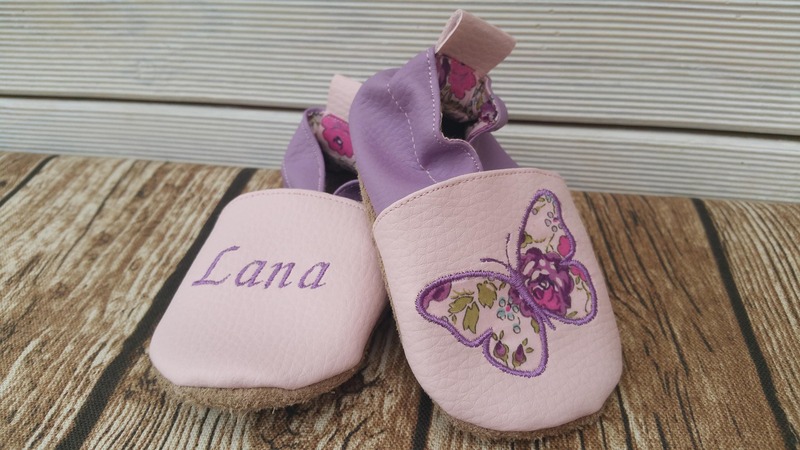 The pair shown here is made of pink faux leather baby on the front and purple on the back with the name of the child and the other foot liberty appliqué butterfly. 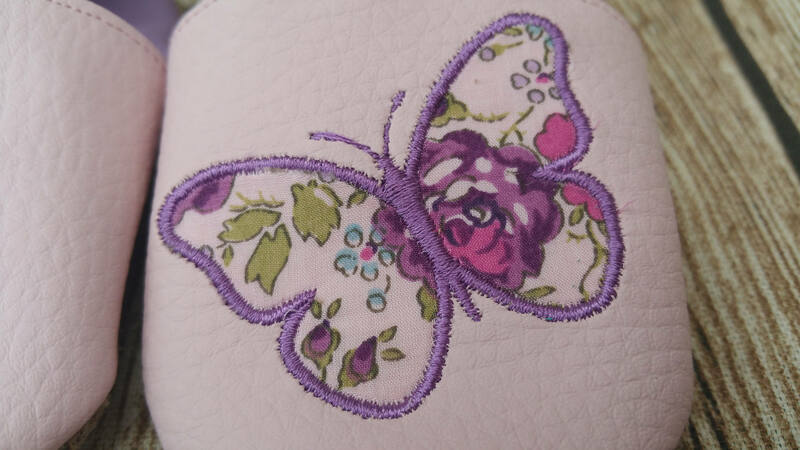 You can replace the lining and filling of the Butterfly in liberty floral cotton.